Home Entertainment The Scoop About Nam Joo-hyuk and Lee Sung-kyung’s Break Up! The couple also attended a Coldplay concert at the Olympic Stadium in Seoul. Fans noticed them watching the concert together based on Lee Sung-kyung’s post on Instagram which has since been deleted. Lee Sung-kyung and Nam Joo-hyuk first acted in a drama together in Cheese in the Trap as supporting roles. They both debuted as models in YGKPlus, a subsidiary of YG Entertainment. Later, they both debuted as actors. They later played leading roles in Weightlifting Fairy Kim Bok Joo which is a coming-of-age sports drama. It is about a group of college athletes who are fighting for their dreams, experiencing and finding love in the process, and growing every step of the way. Kim Bok-joo is a weightlifter who has a crush on Joon-hyung’s older brother, Jung Jae-yi. At first, Joon-hyung teases her and goes along with her act, but soon after, he himself falls for her. Unfortunately, Lee Sung-kyung and Nam Joo-hyuk reportedly broke up recently. YG Entertainment released a statement saying, “We checked with Nam Joo-hyuk and Lee Sung-kyung, and it is true that the two recently broke up.” According to industry representatives, both parted ways because of their busy schedules but are maintaining a professional relationship. 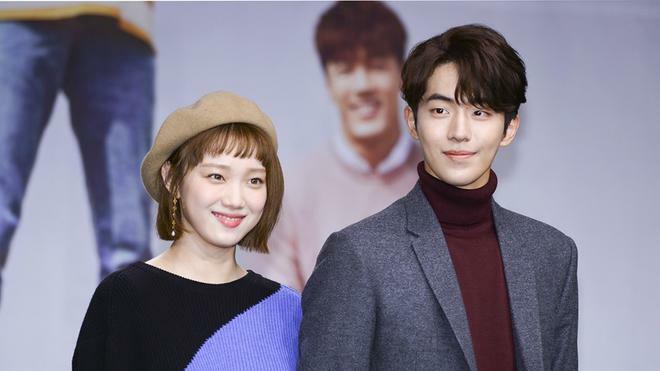 Lee Sung-kyung and Nam Joo-hyuk was a favored couple because of Weightlifting Fairy Kim Bok Joo. They played many cute hate-love scenes in the drama. Sadly, they parted ways, and we must respect their decision. We hope that it’s for the best!